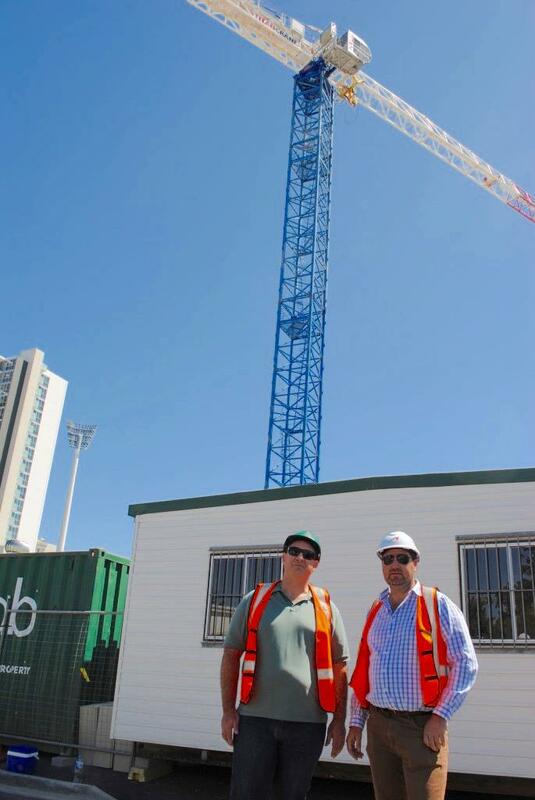 EPV Developments' $60 million boutique apartment tower in East Brisbane, 'The Wellington', is gaining momentum in its construction phase with the inclusion of a major construction crane and the pouring of the basement level. The Wellington will stand nine-storeys tall and include 127 spacious one-bedroom and two-bedroom apartments, complete with expansive recreational facilities and a ground floor specialty retail and dining precinct within 2.5km of the Brisbane CBD. 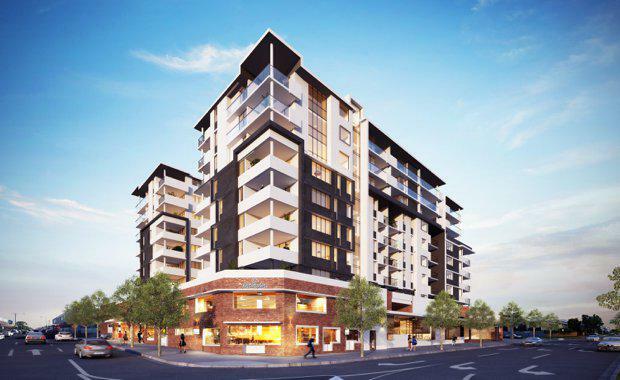 EPV Developments appointed Queensland civil and construction contractor McNab as the builder of The Wellington. Construction preparation commenced in early April on the 3,339 square metre development on the corner of Wellington Road and Overend Street. with completion estimated for October 2017. Andrew North and Patrick Dooley - project managers for The Wellington. “To date, the demolition of the previous buildings occupying the site has been completed, the excavation in rock is finished and the pouring of the lower basement slab is underway," EPV Developments Project Manager Andrew North said. He said the construction of a major on-site crane is a milestone in any development’s construction schedule. “We expect to have construction completed around the end of 2017, which is as we had originally planned,” Mr North said. Wellington Marketing Manager and TOTAL Property Group Managing Director Adrian Parsons said the Wellington has been designed to include plenty of green spaces, such as a second floor garden and barbeque area and central atrium. Mr Parsons said the space will provide residents a light and open living environment that many inner-city apartment dwellers miss out on. “When completed the development will fit perfectly into East Brisbane’s vibrant aesthetic, with facilities like an exclusive rooftop pool area with expansive views, and a cosmopolitan retail and dining precinct that will fit right in with the growing café and restaurant culture of the area. "The Wellington will join East Brisbane as it becomes the next inner city suburb to undergo a contemporary transformation, which is quickly becoming a hot spot for young professionals.